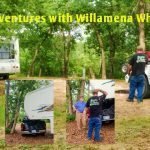 When I first started out RVing I heard many strange terms being thrown around by experienced RVers. 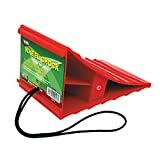 Slowly as I got into the RV lifestyle I learned what all these weird sounding things were. 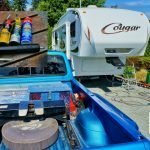 Like any hobby or niche activity RVing has it’s own set of slang terms. 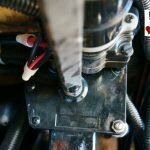 To give you new RVers out there a leg up here is my Newbie Guide to Weird RV Jargon. Use to describe the small vehicle you see being towed behind a large RV. Sometimes referred to as a “dingy”. This is the round cylinder shape piece hanging down at the very front of a fifth wheel trailer. 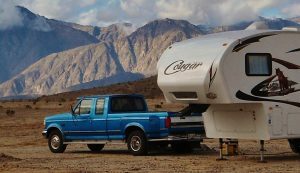 It connects to the jaws of the fifth wheel hitch in the back of the tow vehicle. Nuts that keep your wheels on. It is important to make sure they are torqued (tightened) to the proper amount of foot pounds using a Torque Wrench . Slanted blocks, usually made of plastic material but sometimes wood, used to prevent the RV from rolling. 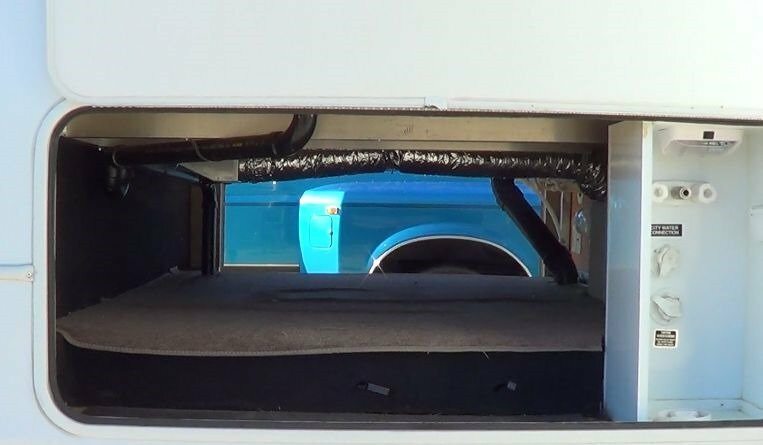 Refers to the storage under the main RV living area, generally accessible form the outside storage bay doors and sometimes through a trap door or laundry shoot. 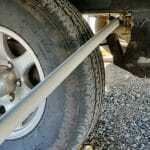 Cable that attaches to the tow vehicle from whatever you may be towing like a trailer or toad. If the trailer comes loose and a leaves the tow vehicle the breakaway cable throws a switch which in turn applies the trailer brakes. 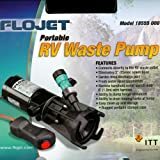 Term for a sewer dump station where RVers dump their waste tanks. Small round rubber ring used to make a tight seal between your sewer hose and the campgrounds sewer hole. In some states like Florida they are mandatory. 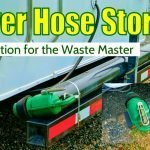 What some RVers call the flexible sewer hose used to dump the RV waste tanks. 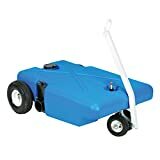 Truck or trailer with large liquid tank on it that comes around to pump out the RV waste tanks. 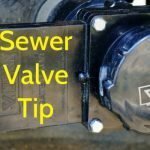 Saves a trip to the sewer dump station when camped in areas with no sewer connections. A sometimes violent back and forth motion experienced during towing. It is usually caused by an unbalanced trailer or uneven roadway. This YouTube video explains it pretty well. Name for the standard RV TV antenna which resembles a pair of wings. Portable wheeled plastic tote used to transport waste tank sewage from the RV to the dump station, usually towed at slow speed by the tow vehicle. Truck with 4 rear wheels, also known as a DRW (Dual Rear Wheel). Describes the engine brake used on some diesel vehicles. A compression release engine brake, frequently called a Jake brake or Jacobs brake, is an engine braking mechanism installed on some diesel engines. When activated, it opens exhaust valves in the cylinders after the compression cycle, releasing the compressed air trapped in the cylinders, and slowing the vehicle. Class “A” or bus type RV with a diesel engine mounted in the rear end. 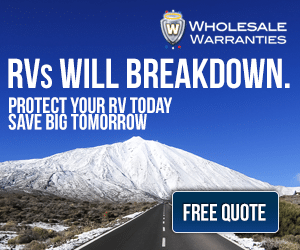 When backing a trailer into a RV site situated on the passenger side of the RV. On this side it is much more difficult to see where you are backing. Refers to a person that migrates south during the winter months to take advantage of the warmer climate. What RVers call a regular type of house. Small two wheeled trailer used to attach a tow vehicle to the back of an RV. 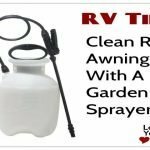 A device that attaches to the sewer outlet on the RV. 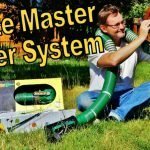 It has a small pump inside and usually cutting blades to chew up the solid waste and then pump it down a smaller than normal sewer hose. One advantage of this is the waste can be pumped up hill. Special aluminum or magnesium rod used inside Suburban brand hot water heaters to prevent tank corrosion. They usually need to be changed once a year. Slang term for the brush like rear flap hanging down from the back end of RVs. They act like a single large mud flap. Looks like they are sweeping the roadway. Term used for the RVs LP gas/Electric refrigerator. 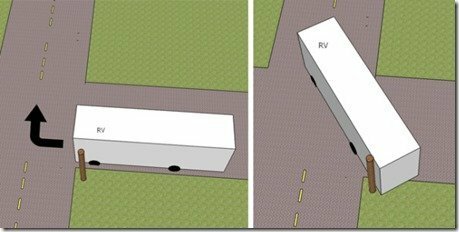 Describes the extra distance the rear end of the RV uses during a turn. The longer the space between the rear wheel and the end of the RV the larger the tail swing will be. It is very important to know how much tail swing your RV has when turning corners in tight situations. You are called a triple tow when you are not only towing your trailer but a second trailer as well. In it’s most common form you will see a truck towing a trailer with a boat trailer behind that. RVers slang term use to describe overnighting on the Walmart Parking lot in your RV. The fresh water campground faucet. Term is used to describe camping without hookups generally in an undeveloped area like a National forest or on BLM land. The government refers to it as dispersed camping. Some people will use it meaning any type of dry camping (camping without hookups), like in a truck stop or a Walmart.